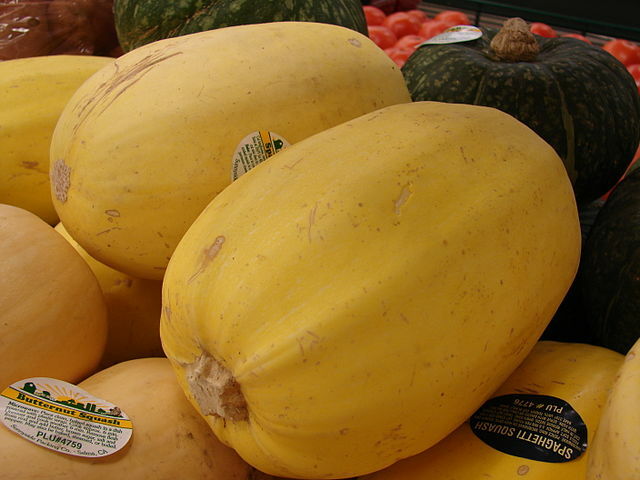 Spaghetti squash, also known as vegetable spaghetti, is a winter squash perfect for spring. When cooked, it separates into long pasta-like strands and the flesh is mildly sweet to nutty in flavor, finely grained in texture. All winter squash share a few common characteristics: The outer rinds are hard and difficult to pierce, enabling them to have long storage periods, from one week and six months. Although spaghetti squash tends to fly a bit under the radar when it comes to talk of “super” vegetables, it has a pretty stocked nutrient stat sheet. 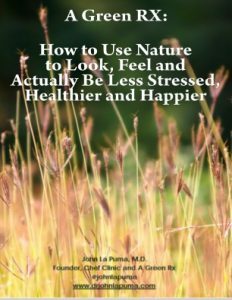 It’s rich in the carotenoids lutein and zeaxanthin, which help maintain healthy cells in the eyes, and beta-carotene and beta-cryptoxanthin, precursors to Vitamin A. Vitamin A fulfills many important roles in the body, and specifically helps support the innate immune system, the immune system’s first line of defense. Beta-cryptoxanthin may also lower risk of developing lung cancer. Other key nutrients found in spaghetti squash include: Vitamin B6, dietary fiber, folate, magnesium, copper, and potassium. Potassium plays an important role in blood pressure as it can help excrete sodium (when sodium levels go up, the body retains more water to dilute the sodium, ultimately leading to greater blood volume and increased pressure on the blood vessels). Spaghetti squash is a great choice for incorporating a meatless meal that is both light and satisfying into your weekly menu. Although spaghetti squash are at their peak season from October to November, you can still find them in most grocery stores into early spring. Choose a squash that is firm, heavy for its size and has a dull, not glossy, rind. Soft rinds may indicate that the squash is watery and lacking in flavor. You can also try this simple recipe for a more Mediterranean style squash dish. Although it has a mild nutty flavor on its own, when you combine spaghetti squash with sautéed onions, olives, feta, and juicy tomatoes, it absorbs those flavors, resulting in a Mediterranean dish everyone will enjoy. This recipe makes a hearty, lunch or dinner. As written, this recipe is vegetarian and can be made vegan by removing the feta cheese. If you prefer, you can also pair this dish with fish or chicken.